NARELA, WITH its narrow bylanes is an industrial neighbourhood on the north-west outskirts of Delhi, the unlikeliest of places to house a clinic that conducts breast implant surgeries. But it is here, on the first floor of a building, that K D Plastic & Cosmetic Surgery Centre has an operation theatre and a patient ward. And thriving, if you ask the centre’s manager who admits that breast implant surgeries are conducted here for around `50,000 each. 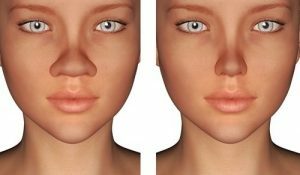 In Pitampura, 20 km from K D Plastic Surgery Centre, is Olmec Plastic Surgery Centre. Here, the operation theatre is in a Delhi Development Authority (DDA) flat. It appears to be a busy centre given that the waiting period for a breast implant surgery here is two months. Common to the two centres is a technician. He once worked at the Olmec Plastic Surgery Centre. Realising how breast implants are in great demand, and the surgeries lucrative, he decided to set up his own shop. He now owns the K D Plastic Surgery Centre in Narela. What are his medical degrees? Is his clinic certified to do these surgeries? Is there a way to check his track record? Are there peers who will testify to his competence? Is he a quack with a scalpel? Each is a valid, potentially life-and-death question, but you won’t find the answers here. Because, nothing more powerfully illustrates what’s wrong with the medical device bazaar in India than the boom in India’s breast surgery market. No one is checking the implants for safety; regulators do not exist; technicians often double up as surgeons; shame and stigma prevent patients from reporting the gruesome aftermath of what has gone wrong, an investigation by The Indian Express has found. The Indian Express, in collaboration with the International Consortium of Investigative Journalists (ICIJ), reported on how almost every medical device is advertised, sold and surgically implanted in a regulatory system that is waking up only now to a steady stream of adverse reports from across the country. From coronary stents and pacemakers to breast and knee implants, from pelvic meshes to intrauterine devices. And how global majors lured doctors with freebies to push their products, and persuaded patients to cough up “exorbitant prices” for implants with aggressive marketing and attractive loan schemes. In Pitampura, Dr Narendra Kaushik, who owns the Olmec Plastic Surgery Centre, says almost half of all breast implants he carries out are “revision surgeries”. He has maintained a record of some of these surgeries and the video clips he shares make a chilling, horrific tale of the callous, unregulated manner in which breast implant surgeries are being conducted. One video records an implant being removed. It has fragmented and there are signs of infection and a rash around the breast. Another implant removed from a patient shows a collection of mites on the surface, proof that the original surgery was done under extremely unhygienic conditions. A third case Dr Kaushik mentions is the removal of a prosthesis from a breast — this is what a surgeon had placed instead of the usual silicone or saline implant, hundreds of which are sold in the country every year. Dr Kaushik says he performs 10-15 breast implant surgeries every month in his Pitampura clinic, maybe half of these on transgender patients. “A majority of revision surgeries or correction surgeries are being done not because of faulty implants. They are being done because non-qualified people are performing the surgeries and because the implants themselves are accessible for anyone to buy. In the last five years, breast implant surgeries in India have gone up exponentially and I even notice a trend in my clinic of boyfriends sponsoring surgeries for their girlfriends. The problem: there is quackery all around,” he says. And far from Pitampura, at a clinic in Saket that caters to the more affluent, the breast implant surgery story is no different. This clinic in South Delhi is owned by Dr Monisha Kapoor and she, too, says that of the 10 breast implant surgeries she conducts, at least five are corrective surgeries. “We are correcting more and more breast implant surgeries and several patients have come with what we call waterfall or capsule deformities. People are being duped because today even dermatologists and ayurvedic doctors are performing surgeries with questionable standards in clinics mushrooming all over the city and the country,” Dr Kapoor says. A patient who did not want her identity revealed said she had got her breast implants done at a Greater Kailash-II clinic by a well-known plastic surgeon. Evidently, it was a hurried job for which she had paid `1.5 lakh. Later, she approached Dr Kapoor for the repair job. “The implant had obviously not been put in the right place and even my husband noticed that it was almost touching my neck. The implant became lumpy, took the shape of a capsule shortly afterwards. To make matters worse, I had shooting pain for weeks. Once I was opened up at the Saket clinic for the revision surgery, I was shocked to see the collection of pus. Severe infection that had set in,’’ the patient told The Indian Express. While no scientific study has been conducted in India on the side-effects or risks of breast implant surgeries, there have been many studies abroad. The world over, implants are used for either size augmentation or for reconstruction of the breast after mastectomy or any other damage to the breast. A third category has now been added — that of “revision surgery” for correction of the original breast implant surgery. A study by the ICIJ as part of the Implant Files investigation shows that as far as the US FDA’s Manufacturer and User Facility Device Experience (MAUDE) reports on breast implants are concerned, there has been an upsurge in adverse reports in the past two years. MAUDE is a database which houses medical device reports submitted to the FDA. 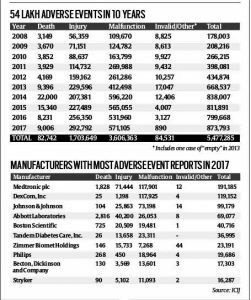 Data on breast implants show that from 408 adverse event reports in 2006, the number went up to 4,756 in 2017. And until June of 2018, the number had climbed to 8,371. Figures put out by the International Society of Aesthetic Plastic Surgery, show that India ranks seventh among the top 10 countries in 2016 for overall breast procedures, which includes saline implants, breast lifts and reductions as well as breast implant removals. The total number of breast procedures recorded for India was 92,960. While international health advisories on sale of breast implants remain vague, this is one area which is largely unregulated in India. The Central Drugs Standard Control Organisation (CDSCO) maintains no list of licensed Indian or foreign manufacturers which have put their implants on the shelf in India. Top distributors say both Mentor and Allergan stopped distributing in India due to poor sales. 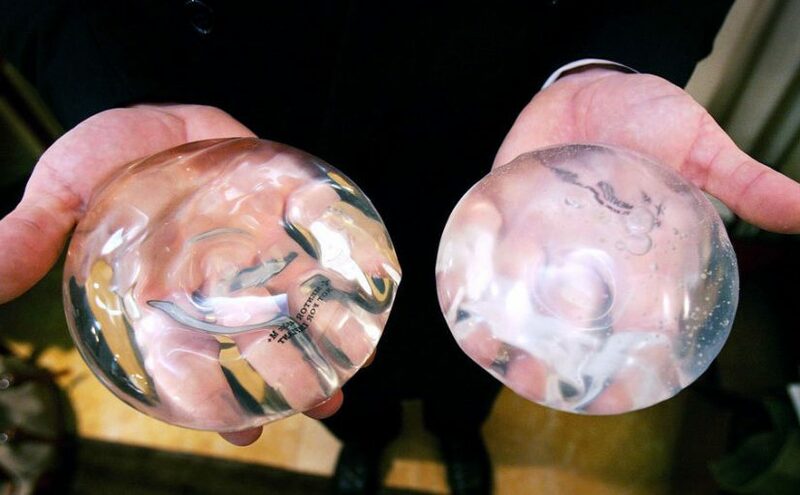 Two companies currently distributing are Motiva and Eurosilicone and they together account for sales of around 1,000 pairs of breast implants annually. Then, there is a huge quantum of “grey area” sales with Chinese and Korean products flooding the market. What are the basic things that a patient should ask the surgeon before getting any TYPE OF implant?